Day 18: A surprise visit by Rocco! Rocco, an 8 year old Golden retriever, came to Murchison today. 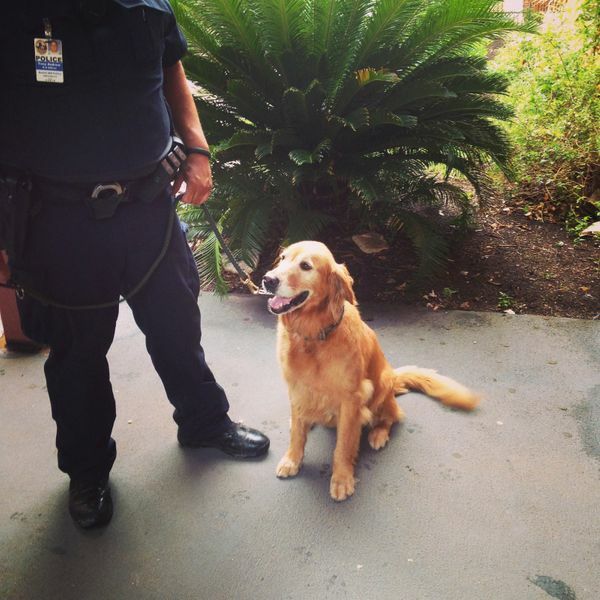 He visited several classrooms, doing his job as a drug sniffing dog, but fortunately, he didn't find anything (other than some smelly backpacks with sweaty gym clothes). Thanks to Austin ISD police for helping to keep our campuses safe with random searches like this. And of course, thanks to Rocco!